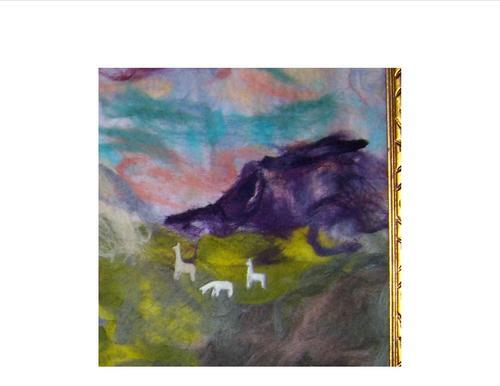 Hand felted picture by Jean Riley. 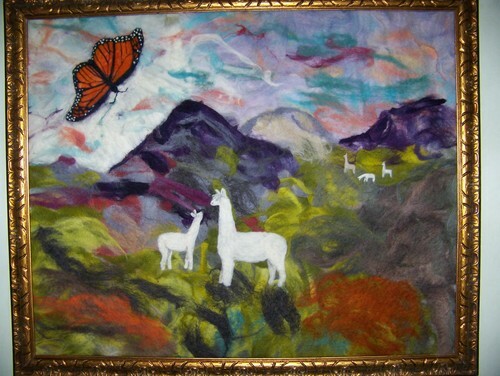 Jean has been raising alpacas for over 20 years and has been painting alpacas throughout those years and is now "painting" with alpaca fiber. 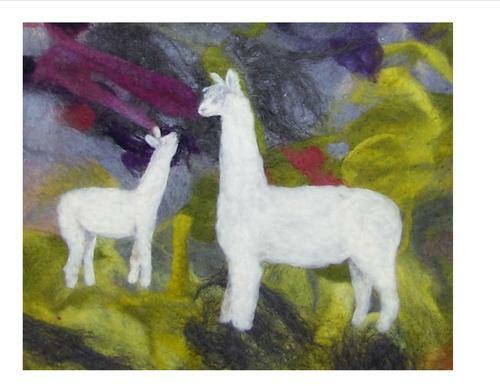 Each "canvas" is wet felted using our own alpaca's fiber in colors and designs to inhance the finished piece of art. 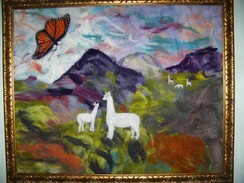 The alpacas and butterflies are then added by needle felting. See the detail in each alpaca. 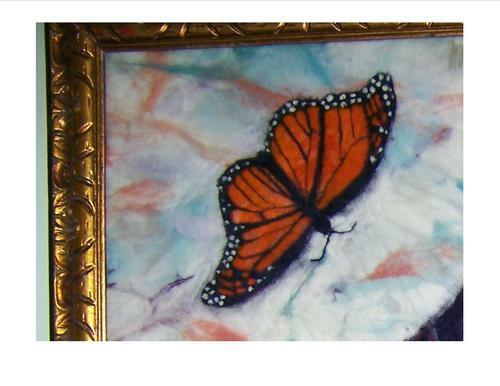 The butterfly is felted on a separate piece of felt and then added so that part of it can be lifted for a 3-D effect. The piece is then put into a 36 X 40 inch frame. For more information call or email Jean at 352-628-0156 or surialpaca@yahoo.com.